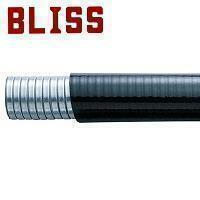 EMI/RFI Shielding Conduit - Bliss Yih Enterprise Co., Ltd.
Bliss liquid-tight flexible conduit R2067 is compliant to the RoHS Directive of Europe Union. SGS had proved our care-free materials. Good performance enlarges your living safety. Temperature range: -20°C ~ 80°C . Color: Black (gray is available by request).